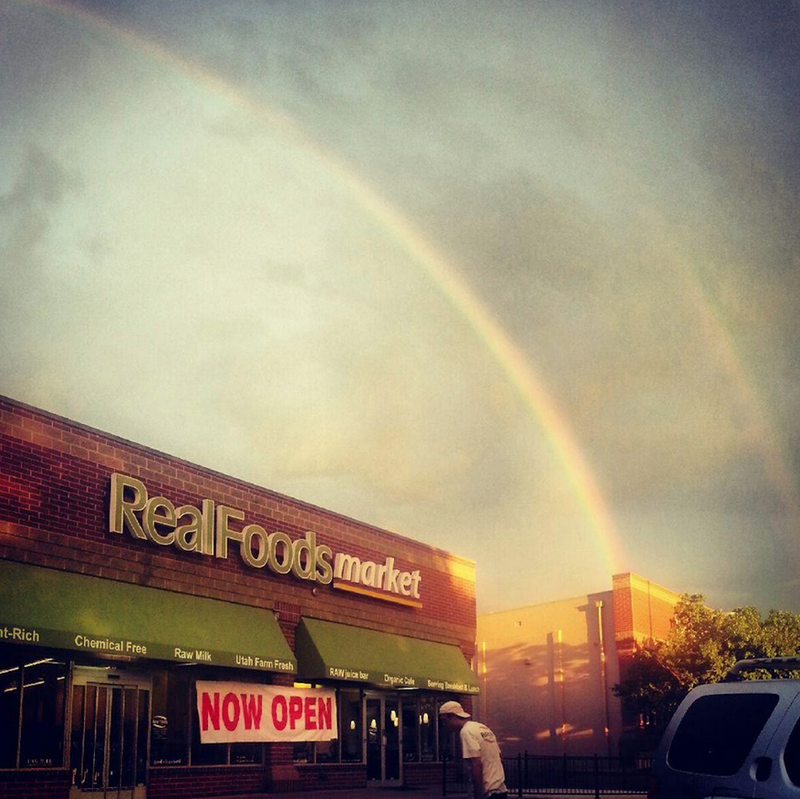 REAL FOODS MARKET SLC GRAND OPENING!!! 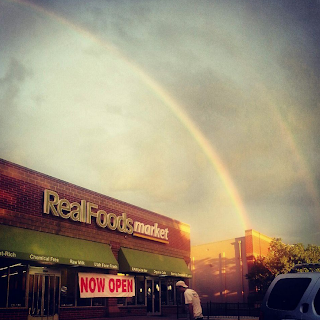 Real Foods Market recently opened a new store in Sugarhouse (Salt Lake City), Utah! 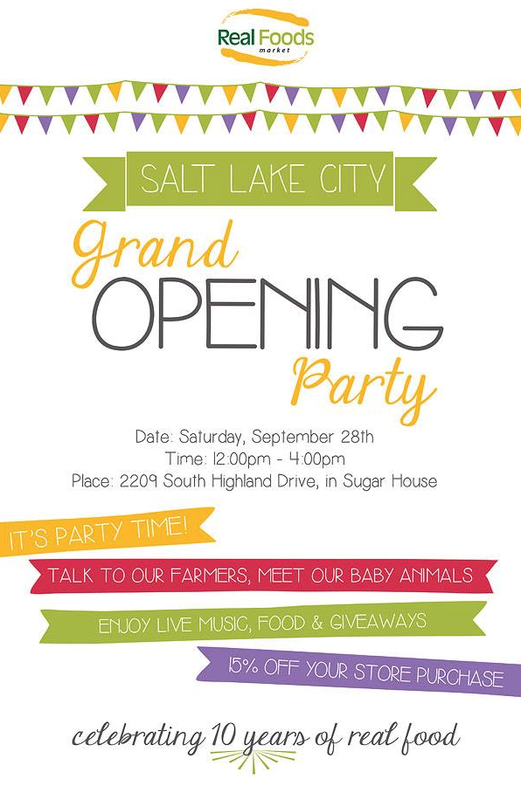 If you want to learn what its all about, and you should want to, (because they are amazing) come to their GRAND OPENING and learn about their farm, and meet some baby animals from Redmond, Utah! This is where their RAW MILK, eggs, Redmond Clay, Real Salt, and grass fed meat comes from as well; all from HAPPY grass fed animals with no antibiotics, hormones, or pesticides (from grass). 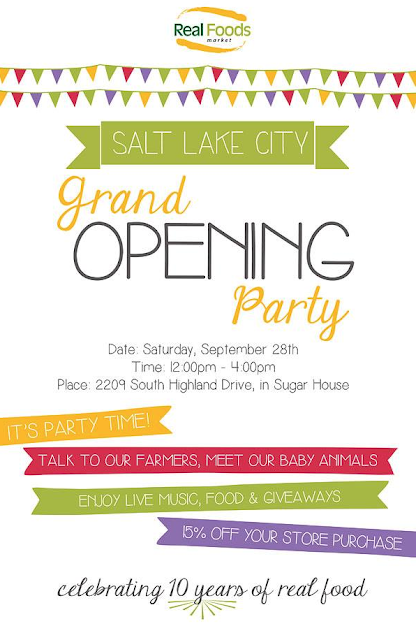 I've also heard there will be prizes, food tastings and more! And just so you know, I think (correct me if I'm wrong), Real Foods Market is the only store in SLC that carries raw milk: milk that is not pasteurized. This stuff is DANG good, and SO healthy for you. Many people that are lactose intolerant can have this kind of dairy because of the presence of lactase which is an enzyme that breaks down milk sugar. The presence of lactase in raw milk, as well as friendly bacteria helps aid in digestion. So to sum it up: its good, REAL GOOD! They also carry raw cheese, and farm fresh eggs from their farm in Redmond Utah. 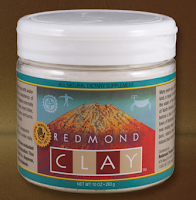 The Redmond Clay is basically a cure-all it seems. I have yet to try it...but I am excited to do that soon. The general clay is excellent for first aid, as a facial mask, extremely good for detoxing the body, as it can be taken internally. Leslie, who is an educator for Real Foods, has Celiac Disease and has said it has helped her often with extra stomach issues when she has been accidentally slipped gluten and such from restaurants, or other food. There is also toothpaste (earth paste), and baby powder. Real Salt is another product that is all natural, from the earth, with all of the minerals there for you to enjoy. This salt has so much flavor. The other night we had used up the last of our regular salt and then began using Real Salt. Such a difference; I'll never go back! "Real food goes far beyond the popularized organic vs. non-organic distinction. Real food is nothing more or less than food created by Mother Nature and eaten in its natural, unadulterated, pure and nutrient rich state. In theory, if you cannot pick it, gather it, milk it, or hunt it-it is not real food." These opinions are my own. Check out Real foods website for more information regarding their products and different locations.